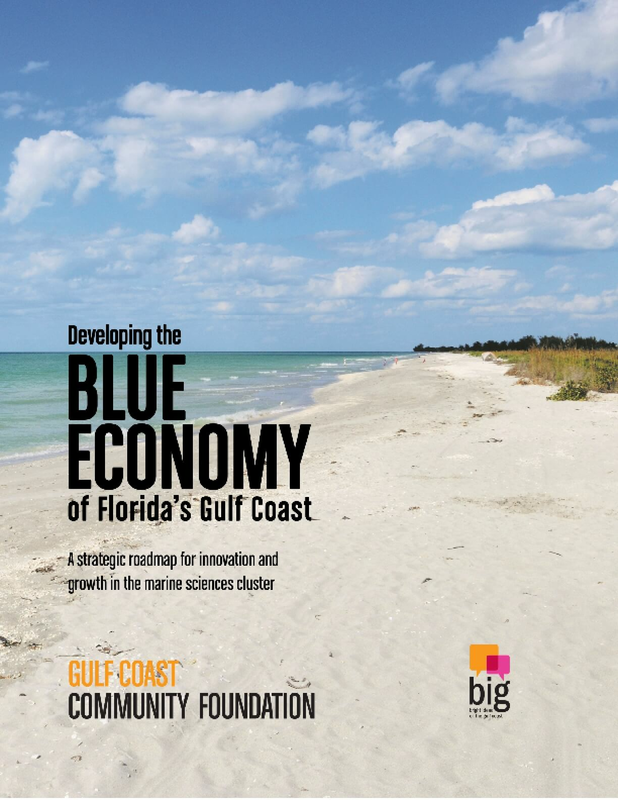 Recognizing the immediate and long-term potential of the marine sciences to transform the regional economy, Gulf Coast Community Foundation commissioned this cluster study and innovation strategy for developing the region's Blue Economy. This report identifies the size and scope of the region's marine cluster, outlines potential growth opportunities and challenges, and provides a blueprint for advancing economic development in this cluster. Cluster studies are invaluable tools to support regional action, spur implementation at thestate and regional level, and inform leaders about the Gulf Coast's significant, but largely hidden, Blue Economy. Copyright 2015 by Gulf Coast Community Foundation. All rights reserved.